I remember a time when a new local TV series on Channel 5 was a major event. The hype! The trailers! The 8 Days puff piece! The premiere! The letdown! The backlash! The indifference! Nowadays, a show can come and go with no one noticing, skipping all the steps and fast-forwarding right to the “indifference” stage. And I’m not talking about some whorish sponsored info-tainment programme peddling hair products or Total Defence. I’m talking about dramas like Keong Saik Street, which I bet you didn’t even know existed because I didn’t know it existed until I came across it on xin.msn.com last week. I thought (okay, hoped) it was about prostitutes because of the title, but it was essentially just a crime story. 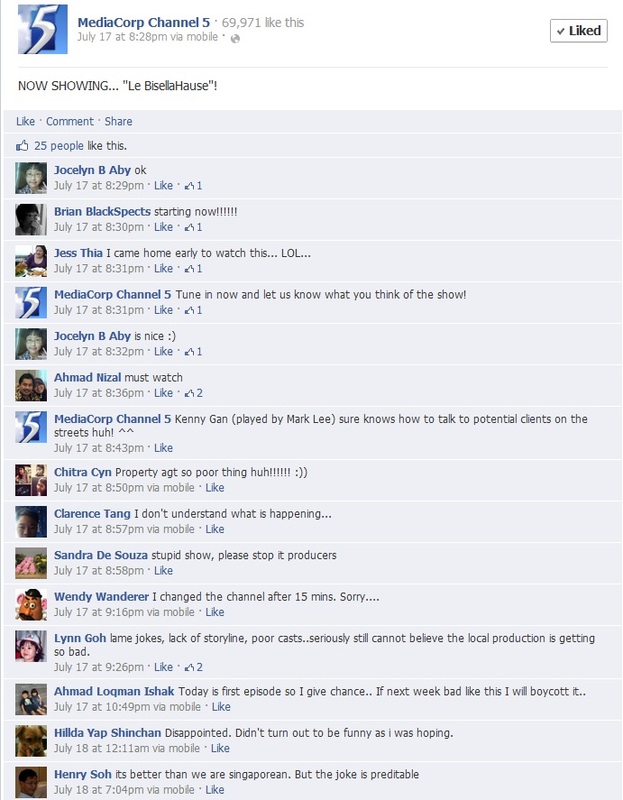 It had aired on Channel 5 in March. I was surprised I had never heard of the four-episode series, especially since it starred such “big names” as Tay Ping Hui, Joanne Peh and her Nando’s dining companion, Bobby Tonelli. I stalk, I mean, follow Peh on Twitter and I don’t remember her tweeting about the show. Maybe she did mention Keong Saik Street and I thought she meant the actual street. I was even more surprised to see in the credits that one of show’s writers was an ex-colleague and Facebook friend. He has never mentioned Keong Saik Street in his status update. When I messaged him about the show, he replied that it was “not really well promoted” and that “it really wasn’t very good”. That actually made me feel sad. 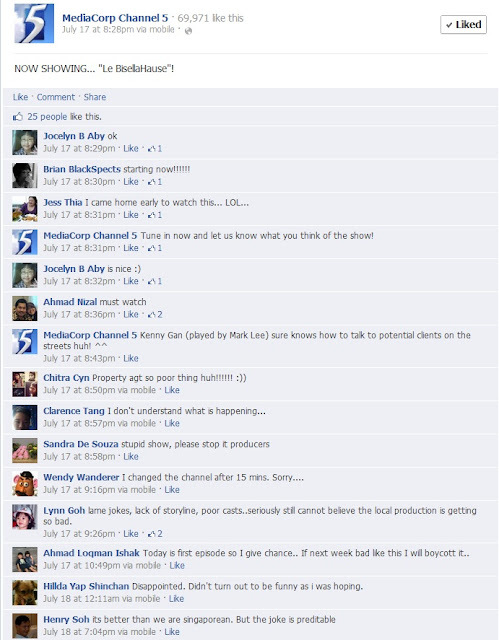 Local productions are not getting support even from the people who worked on them. 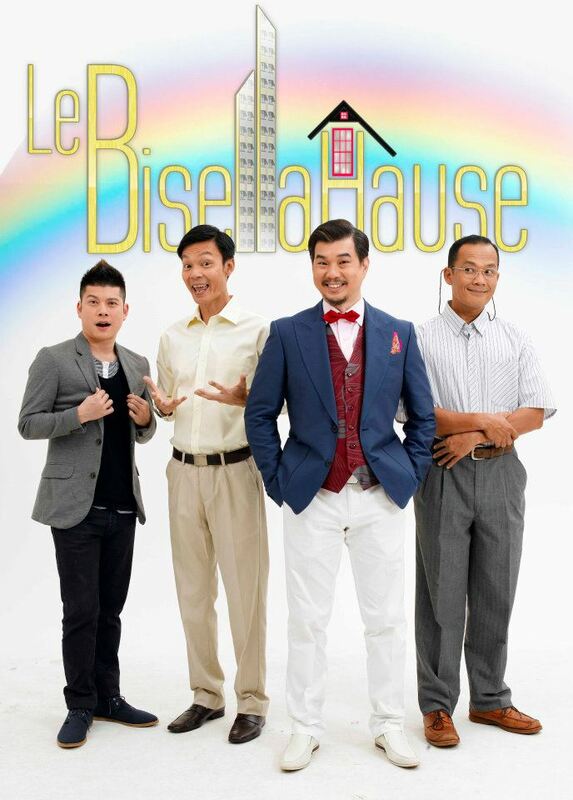 Well, there’s a new Channel 5 comedy called Le Bisellahause, which debuted last week and I want to help it avoid the same ignoble fate as Keong Saik Street. I may not be able to provide $470 million to support local TV productions like the Ministry of Information, Communications and the Arts has over the past five years, but I can provide 10 reasons you should watch Le Bisellahause. 1. First things first. To answer the question that has been vexing all of Singapore (okay, maybe just my sister) for the past two weeks or so, Le Bisellahause is pronounced “le buy sell a house”. How do I know? That’s how the voice-over guy pronounces it in the trailers. Now that you know the pronunciation, you have one less excuse not to watch it. No more “I can’t watch something I can’t pronounce”. 2. Are you a fan of US comedy Modern Family? Good news! You know how Modern Family is shot like a mockumentary with people talking to the camera like they are being interviewed? Le Bisellahause is also shot like that. So if you like Modern Family, how can you not like Le Bisellahause? 3. Are you still a fan of Modern Family? Good news! You know how the father in Modern Family, played by Ty Burrell, is a property agent? Le Bisellahause is called “le buy sell a house” because it’s about four property agents. That means it’s four times as good as Modern Family. 4. If there’s one thing wrong with Modern Family, it’s Sofia Viagra. Wait, did I spell that right? No, it’s Sofia Vergara, the highest paid woman on American TV, according to Forbes. Obviously, she’s just used as eye candy on the show. That’s sexist. Le Bisellahause doesn’t lower itself to that level because it doesn’t have any eye candy at all. There aren’t even any women in the main cast. We’ve come a long way, baby. 5. NParks didn’t pay $57,200 for the show. 6. Le Bisellahause marks the triumphant return of comedian Mark Lee to Channel 5 comedy after the mega-hit Police & Thief. Admit it, you miss the ah beng. Sergeant Dollah, where are you? 7. 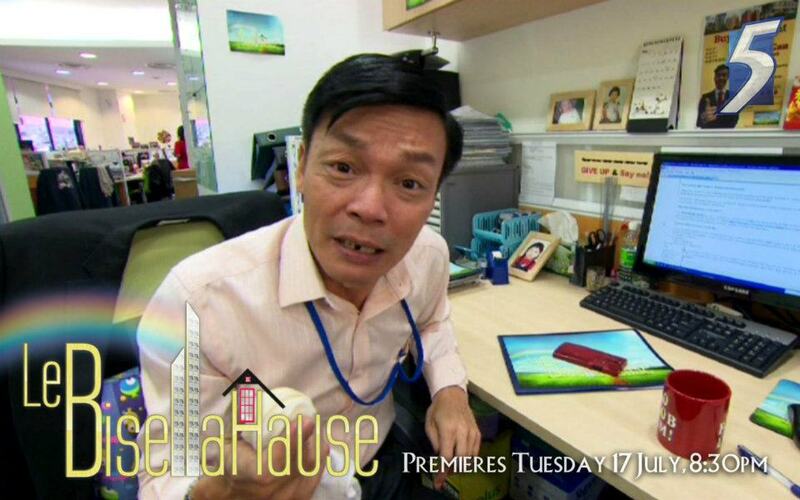 It’s nice to see Nicolas Lee (aka Ronnie Tan from Under One Roof) working again. He plays one of the property agents. Did you read that? Le Bisellahause is better than We Are Singaporeans despite having only one joke. What a ringing endorsement! Take that, Hossan Leong! 9. A few months ago, I was asked to write Le Bisellahause. At first, I said yes. Then I backed out, mainly because I couldn’t pronounce Le Bisellahause. There were no trailers for the show then. I feel guilty about backing out the way I did. So please watch “le buy sell a house” to help alleviate my guilt. 10. What else do you have to watch until The Noose returns?